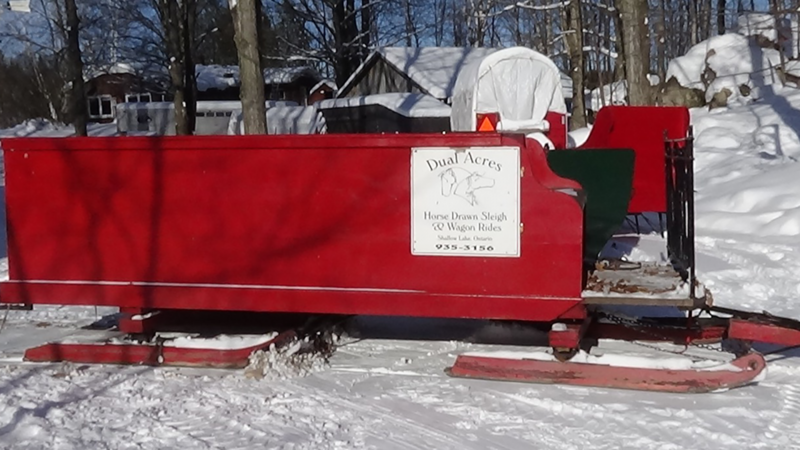 Dual Acres Sleigh & Wagon Rides is owned and operated by Durk & Alma DeVries. 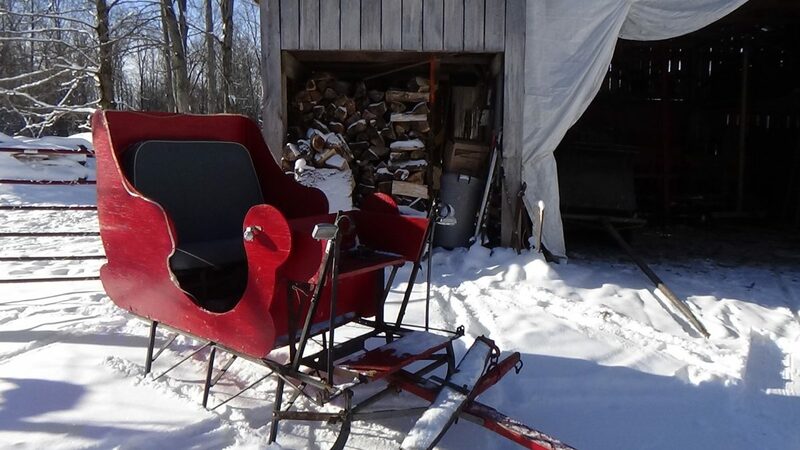 They have been offering sleigh rides on the family farm for over 20 years. Over many years, the DeVries' have been creating and perfecting the trails through their 50 acres of wood lot and have accomplished a beautiful maze through some of the most beautiful scenery. 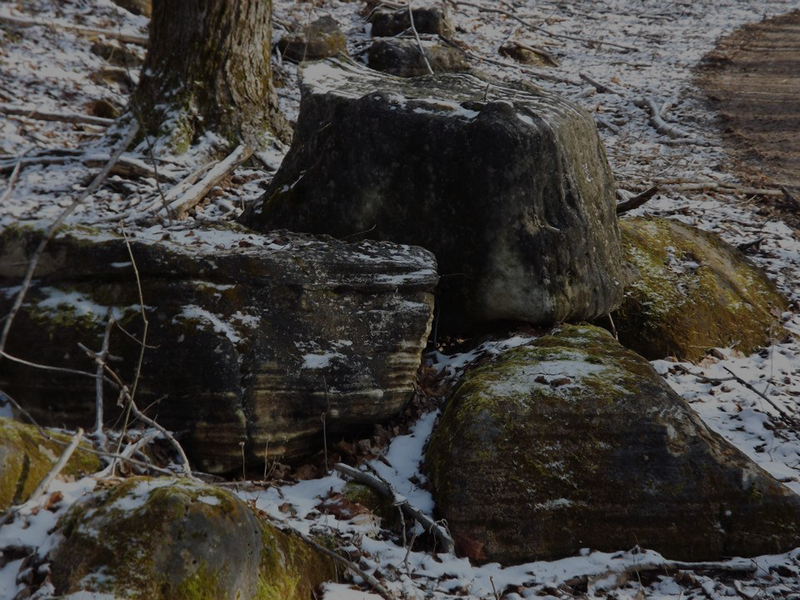 The lot includes a wide variety of trees and other flora and fauna native to Grey Bruce. And all trails lead back to a very cozy and welcoming shack. This Dual Acres Original is perfect for an intimate family ride. 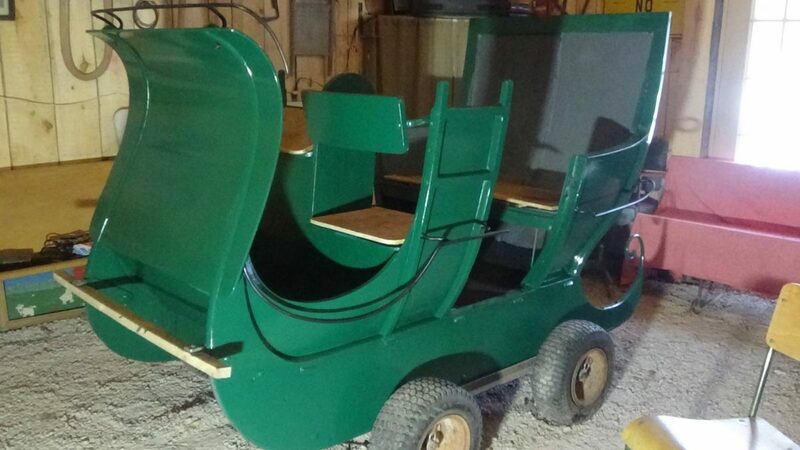 We have a variety of sleighs and wagons that have been built or refurbished in our own shop. 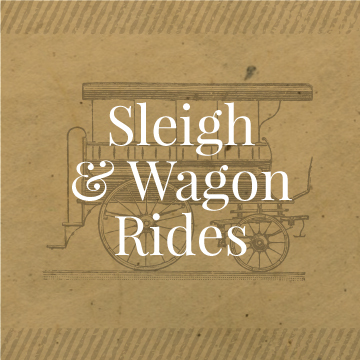 For you large groups, our large red wagons and sleighs have built-in safety features and can seat 10-12 adults comfortably. One of these wagons is also wheelchair accessible. 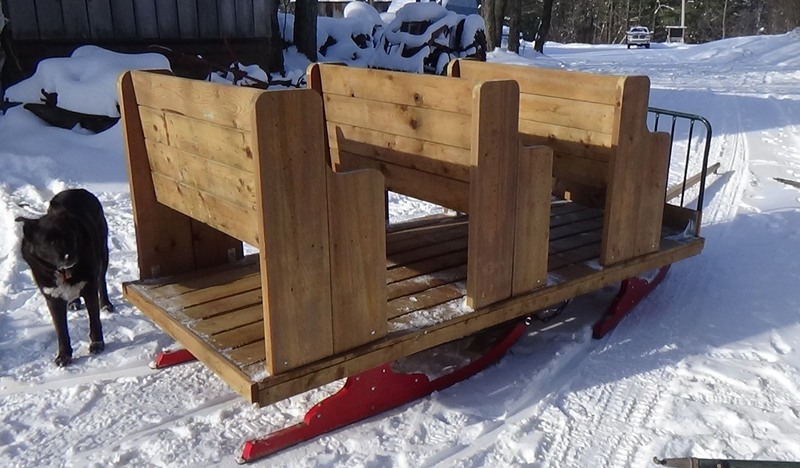 For smaller groups we have a selection of smaller sleighs and wagons. And for a romantic evening, we have two seater sleighs. 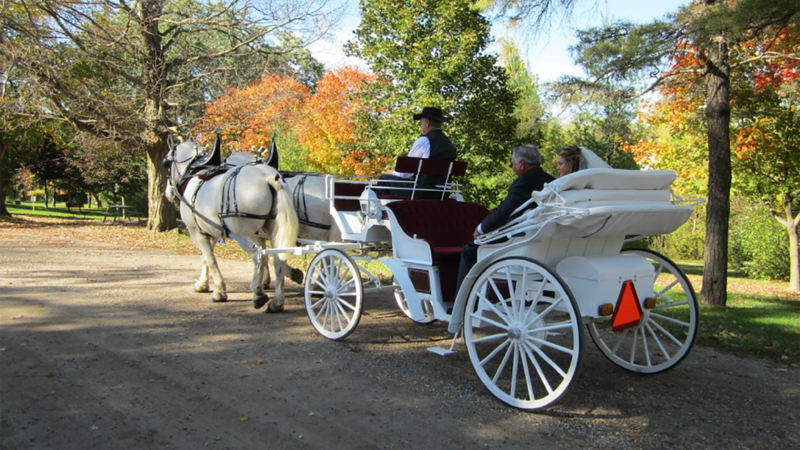 And for that special day we have a modest selection of wedding carriages. THIS HAS BEEN A WONDERFUL ANNUAL HOLIDAY TRADITION THAT WE AND OUR KIDS LOOK FORWARD TO EACH YEAR. THE DEVRIES’ ARE ALWAYS WARM AND WELCOMING HOSTS. ALL THE KIDS (AND ADULTS!) ENJOY THE SLEIGH RIDE IN ADDITION TO THE HOT CHOCOLATE SERVED IN THE TOASTY WARM SHACK FOLLOWING THE RIDE. LOOKING FORWARD TO NEXT YEAR ALREADY!. 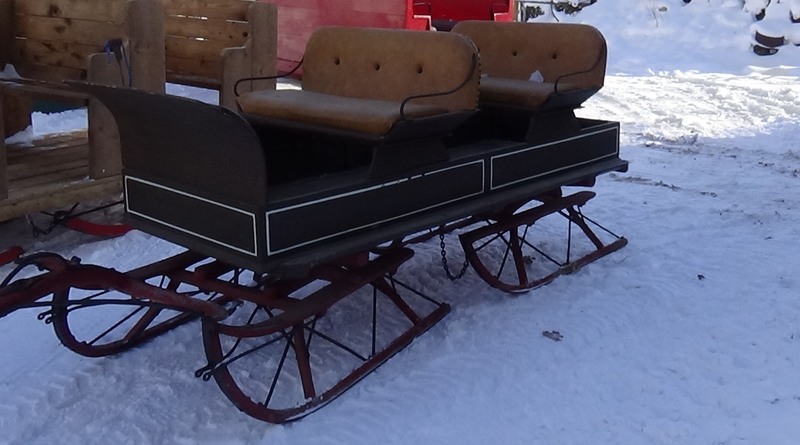 Our two-seater sleigh is just right for engagements, anniversaries or a night our with that special person. 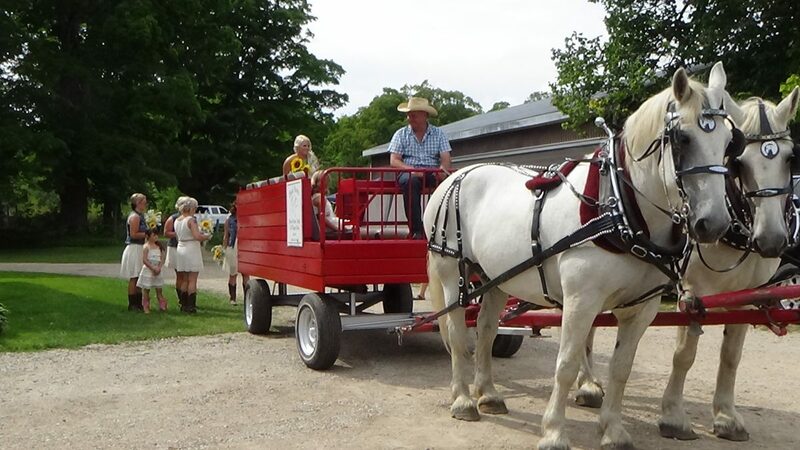 Whether it's a large family gathering or just getting together with friends, let us take your group on a memorable ride through some of the most beautiful wood lot trails in Grey Bruce area. 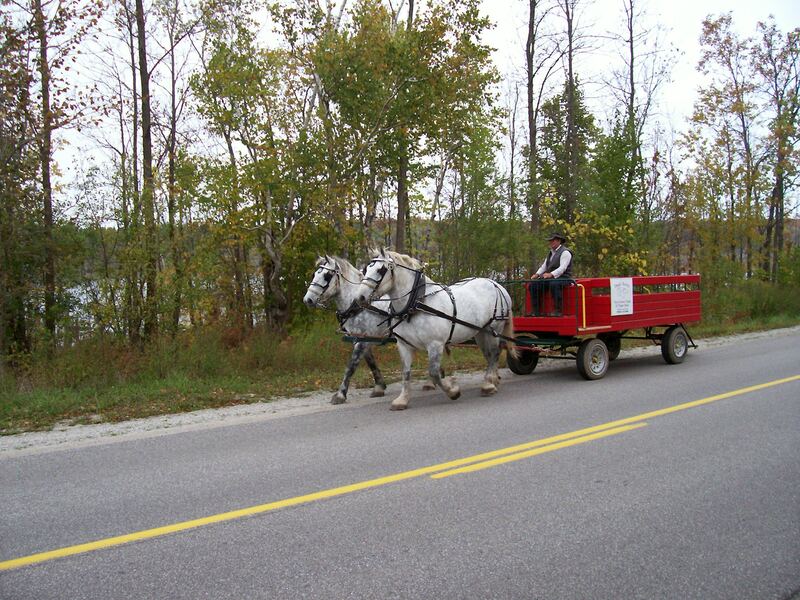 Our sleighs and wagons hold 10-12 adults. Don't have a party of 10-12 people? 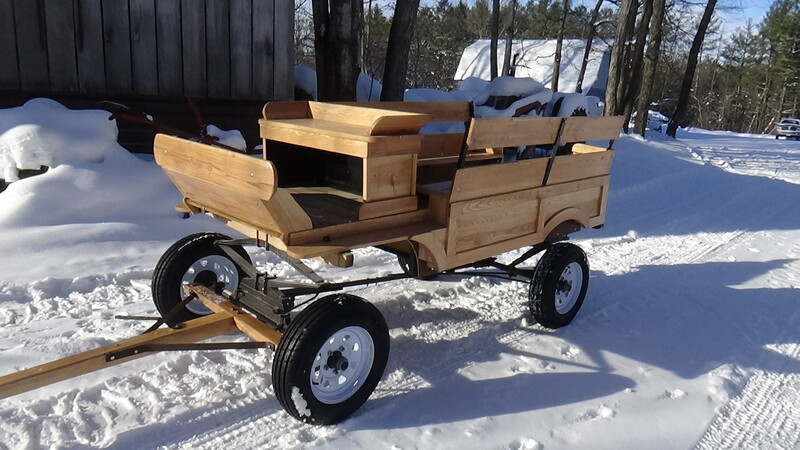 We can accommodate your smaller party with our Family Sleigh. Book your next birthday party with us and don’t worry about the mess! Birthdays for the young and young at heart are our specialty. The shack is a perfect spot to blow out your birthday candles, and the warmth from the fire is also perfect for roasting your hot dogs. After your party has enjoyed a relaxing horse-drawn wagon or sleigh ride through the beautiful trails, extend your merriment in the Shack. 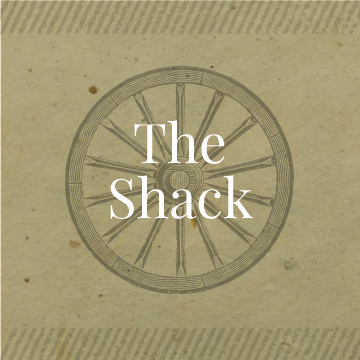 Comfortably seating up to 50 people, the Shack makes for a unique and casual location and has been host to many an office party and family gathering, as well as, charitable events and one beautiful wedding. 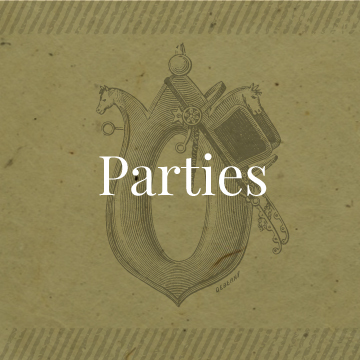 For your next gathering consider a horse-drawn ride, followed with a hot chocolate by the cast iron wood stove and challenge your guests to identify all the unique, antique objects hanging on the walls. Contact us for more information about the Shack's availability. Do you long to be carried off in style on your big day? Dual Acres has seen their share of bridal parties to and from their wedding ceremonies and would love to make your day special. 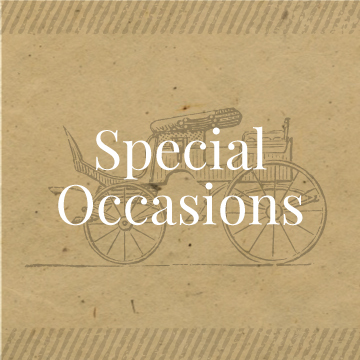 Choose from our beautiful, antique, white carriage, our Dual Acres Original covered wedding wagon or from any of our traditional wagons. 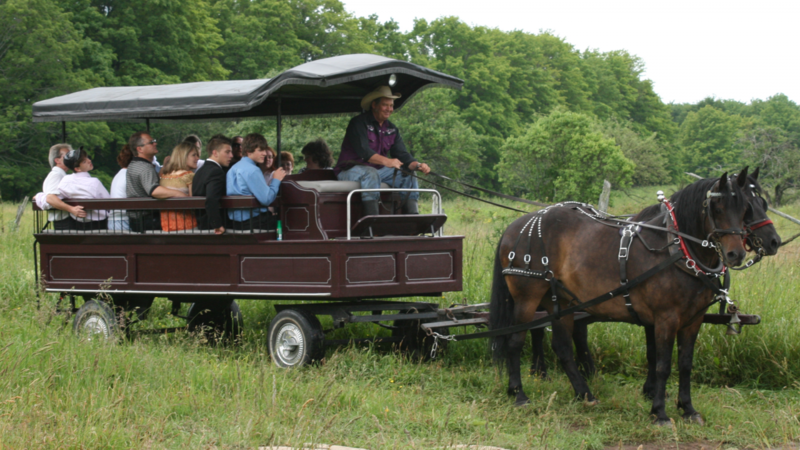 Dual Acres teams and wagons are available for special occasions held on private properties. Contact us to discuss our availability.